As the spring season rolls around at Durango High School and college acceptance letters are arriving at students’ doorsteps, seniors are facing the most challenging part of their high school careers: waiting until graduation. While many might argue that the second semester of senior year is the time in which kids are supposed to relax and enjoy their sense of freedom, this is often not the complete case. Though we might be able to be stress-free, high school becomes hardest during these months as motivation goes down the drain quickly. For those who are unfamiliar with this plague, it often results in seniors neglecting their academics, using their time for other invigorating activities and loudly groaning while being asked to write an essay for school. These last few months are extremely difficult for students as they are still required to put in the effort that is no longer needed for this stage in their life. Although academics may be more challenging in a student’s younger high school years, many students now face an issue with motivating themselves to push through these last few months in high school. Now that the glory of college is in the near future, high school seniors constantly find themselves struggling to keep up with their current academics as they are excited for a fun summer followed by a new journey of academic and social exploration. After going through the struggles of high school and taking exams, students are now more ready than ever to experience a new chapter of their lives. The Class of 2017 has spent much of its time and energy in helping the community of Durango thrive with excitement, passion, intellect and creativity. With student-led organizations, theater, athletics, band, student council and much more, the senior leaders of these groups have worked hard to create opportunities for the Durango community to come together and enjoy. Many of these students have worked hard to bring life to Durango and are very excited to bring this enthusiasm to the paths they have chosen to follow next. However, in this period before graduation, students are struggling to find the balance between playing and maintaining their studies for the rest of the year. With the warming weather and the beautiful Colorado scenery, seniors have to stop looking out the window while day-dreaming about hiking the beautiful trails and start focusing on the latest essay assignment that remains glaring at them on their desk. Although students are still struggling with finding this motivation, picking up their pencils would be a nice start. 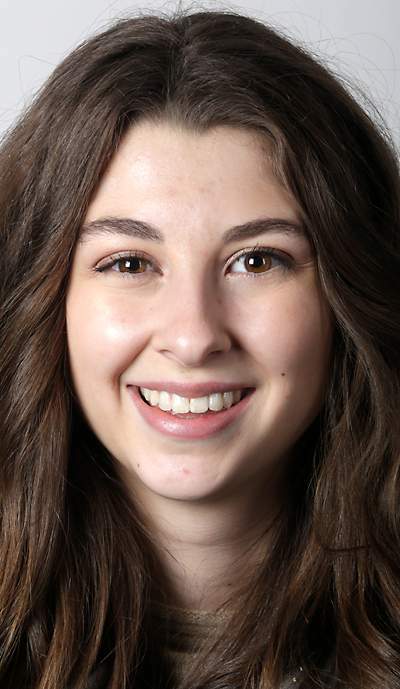 Caroline Sitter is news editor at El Diablo, the Durango High School student newspaper. She will be attending the University of Washington in Seattle to study English in the fall. Her parents are Doug and Suzanne Sitter of Durango.